From Goodreads.com: Garret Stevenson must find a bride or forfeit his newly built hotel. With his deadline approaching, he plans an in-name-only marriage with a maid who’ll cook and clean for his guests. When a pampered, pretty heiress arrives instead, the deception confirms Garret’s distrust of women. But Virginia Winterman has more substance than her elegant clothes suggest. This was a very sweet and clean read that showed a lot of character growth (although I wish it had come sooner than it did). I enjoyed watching Virginia and Garret's relationship grow - even if I think a lot of their "issues" could have been resolved if only they had spoken to each other more. Virginia impressed me with her ability to think on her feet, and to not become overwhelmed, or give up, when she realized the enormity of her situation and the things that would be expected of her. She could have demanded he find help to hire, but she didn't. She buckled down and learned what she needed to do in order to help him (even if her first attempts weren't the greatest). And I simply adored Mrs.Fueller's character (even if I had her figured out fairly early on). 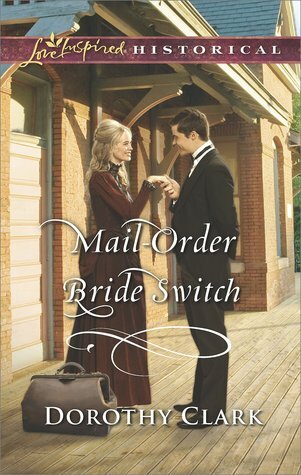 I do wish we had been told what exactly happened to Virginia's previous suitor, I have a feeling there is a definite story there, but overall I enjoyed this romance, and I feel others will as well.